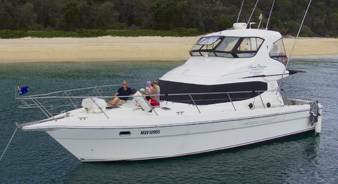 A 27m luxury motor yacht specialising in exclusive, corporate and live aboard charters on the East Coast of Australia from Brisbane, Moreton Bay, Gold Coast, Great Barrier Reef and Sydney. 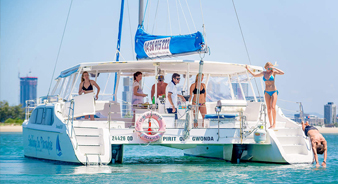 Pure Adrenalin is a custom designed wave piercing catamaran, a unique vessel that stands out from the rest and is the ultimate luxury charter vessel for entertaining large groups of people. 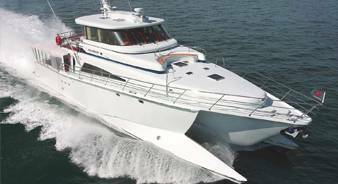 Being a high-speed catamaran, she is smooth and stable even when travelling at speed and is designed to provide the most comfortable and seaworthy ride in all weather conditions. The destinations and activities are entirely up to you but the experienced captain and crew can offer advice from their knowledge of each destination which ensures you achieve the full potential from each charter. 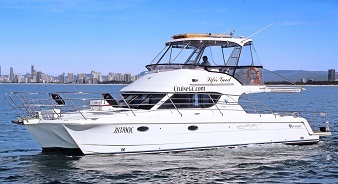 Corporate functions, seminars, conferences, team building events, staff incentives, product launches, social cruises, birthdays, anniversaries, weddings, receptions, Christmas parties, photo shoots, spectator and/or transfers or private luxury overnight charters PURE ADRENALIN customise and accommodate your every need with style, elegance and comfort. *A $1,100 if Pureadrenalin is not in Gold Coast, a relocation fee for moving the vessel may apply.